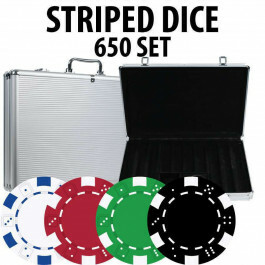 The classic 11.5 gram Striped Dice design - now available in 11 colors!! 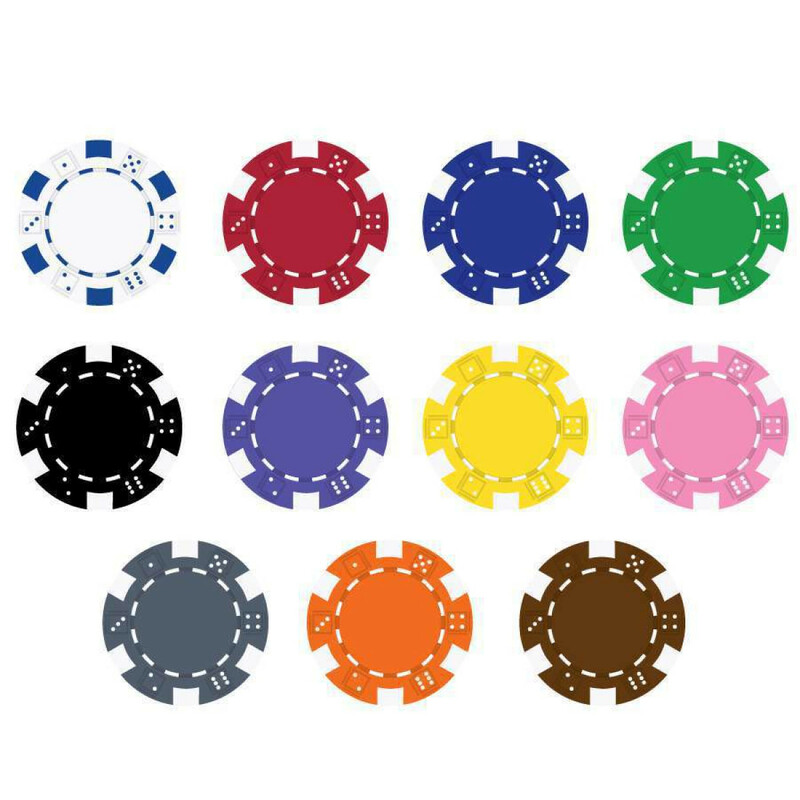 The 11.5g Dice poker chips are quality composite poker chips with an insert that gives the chip a casino quality weight. These poker chips have the Dice and stripes imprinted around the chip face. 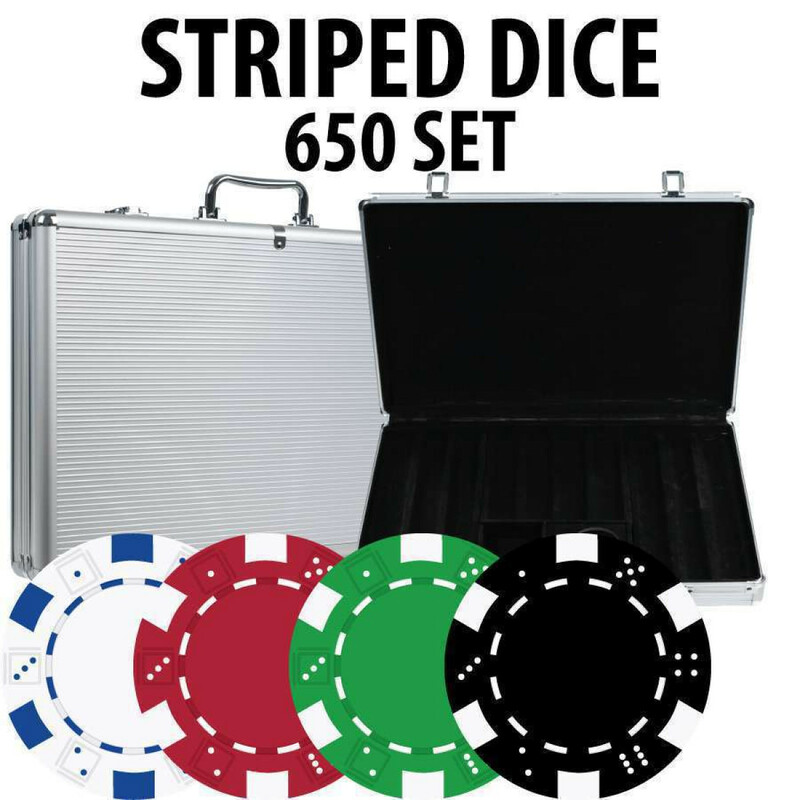 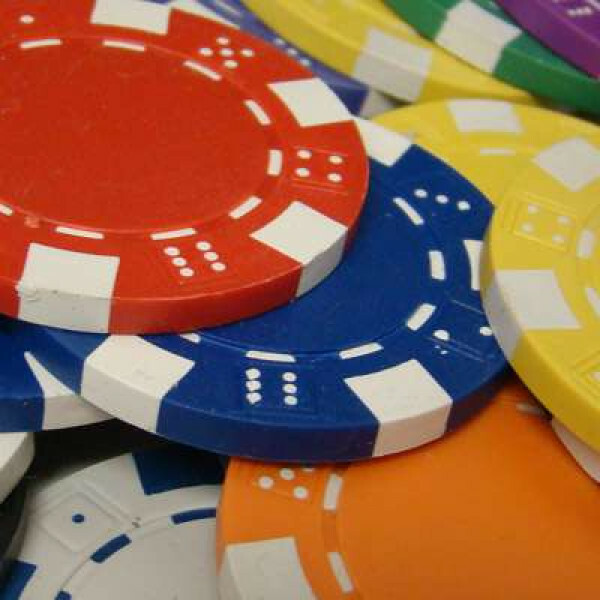 The poker chips come in 11 different colors and several set size options.